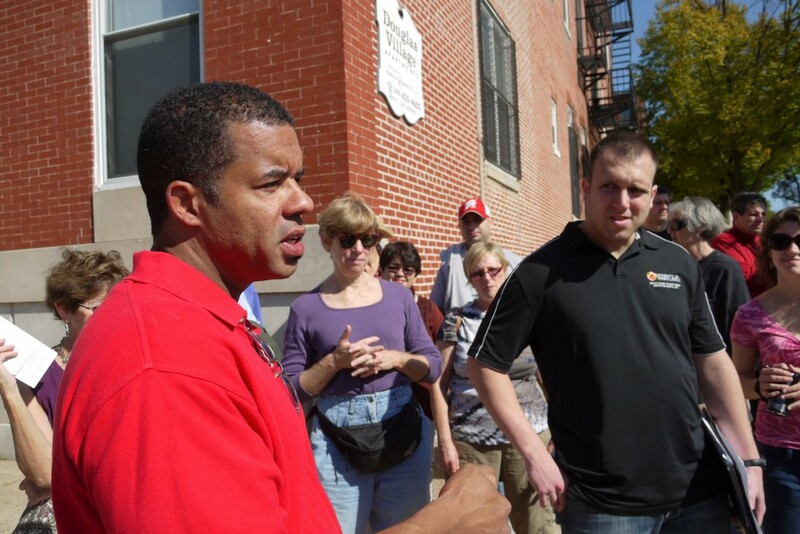 With support from the Maryland Humanities Council, we organized a fall program series in October 2011 exploring the history of segregation, civil rights, and community development in three historically African American neighborhoods. Together with scholars from the Reginald F. Lewis Museum, UMBC, and Towson University, as well as neighborhood leaders from the Upton Planning Committee, the Evergreen Protective Association, and the Sharp-Leadenhall Planning Committee, we explored neighborhoods that have served witness to Baltimore’s challenging histories of segregation, civil rights, racial transition, displacement, urban renewal, and even historic preservation. This program was paired with a lecture by Dr. Rhonda Williams, Baltimore native and author of The Politics of Public Housing: Black Women’s Struggles Against Urban Inequality, on the stories and experiences of residents in Baltimore’s public housing, a story that closely follows the history of historic African American neighborhoods in Baltimore. See photographs from this program series in our Flickr album.